I kind of love putting together a good gift basket. I mean, who doesn’t love receiving a lovely container full of coordinating goodies? Not this gal. 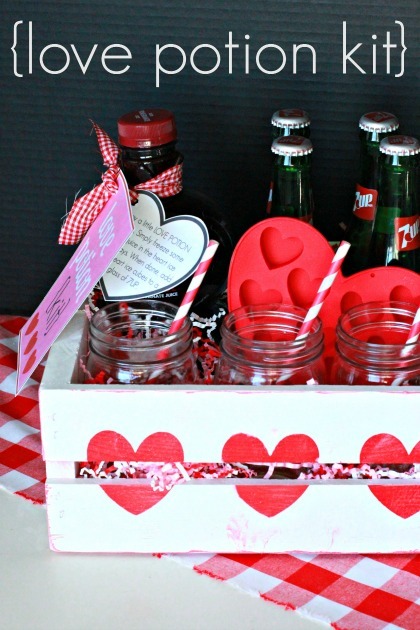 So it seemed only fitting that around Valentine’s Day I needed to channel my love of gift baskets to create love themed kit. 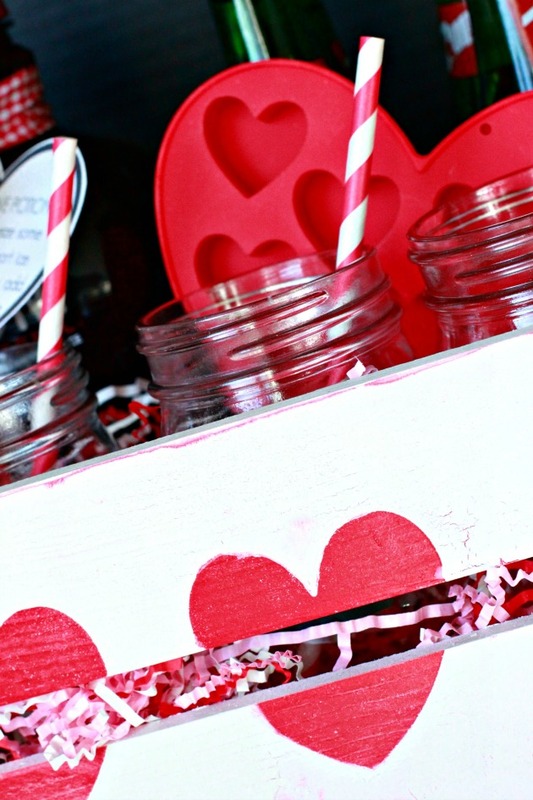 I came up with this ultra lovely, fun and very Valentine-approved Love Potion Kit. 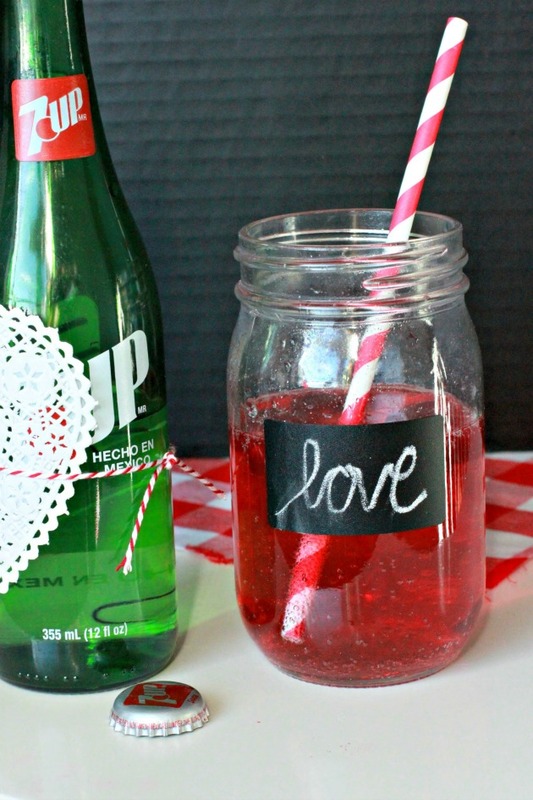 This would make a great teacher gift or a neighbor gift. 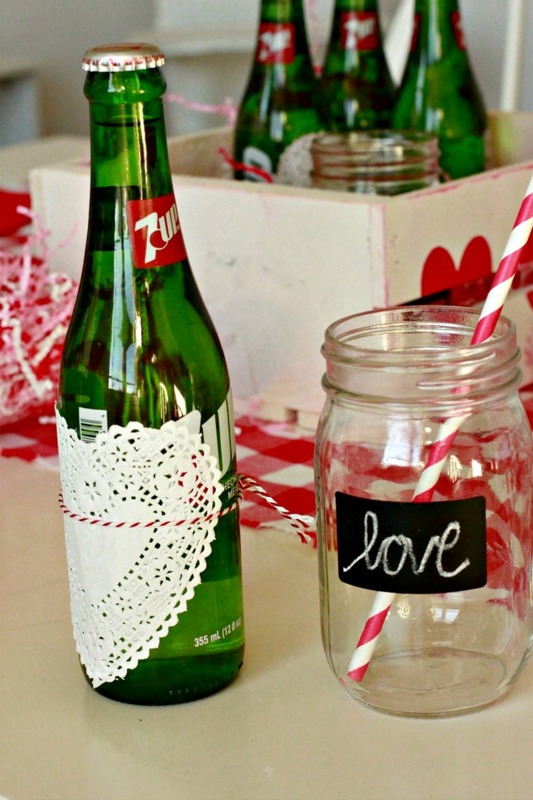 You can add your own lovely flair by using different embellishments. 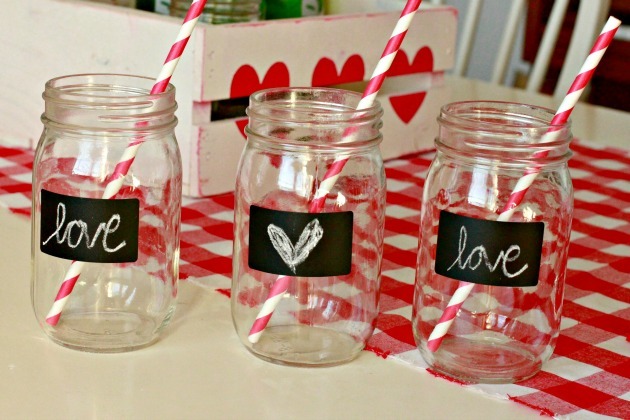 I added chalkboard labels to the front of the mason jars. That way little love notes can accompany each Love Potion Drink. The vintage looking 7UP bottles are insanely cute. I dolled them up a bit with paper heart doilies and baker’s twine. 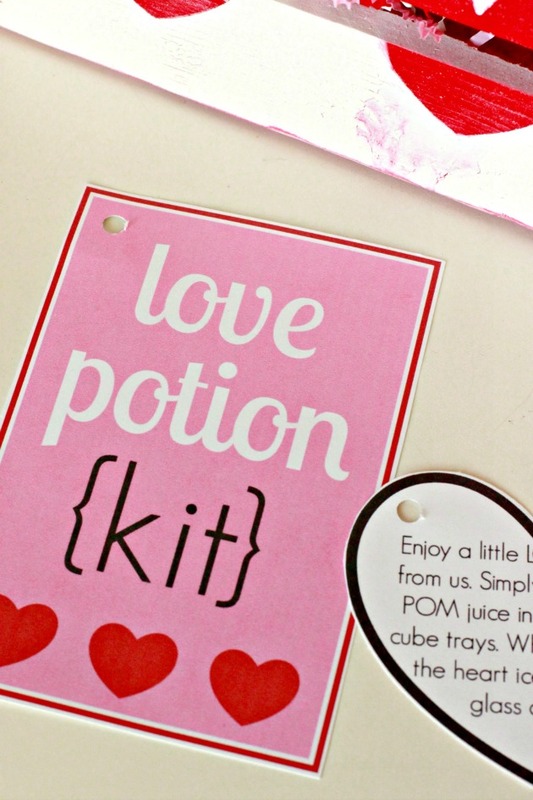 I created this Love Potion Kit printable with a heart-shaped instruction tag to go with it. 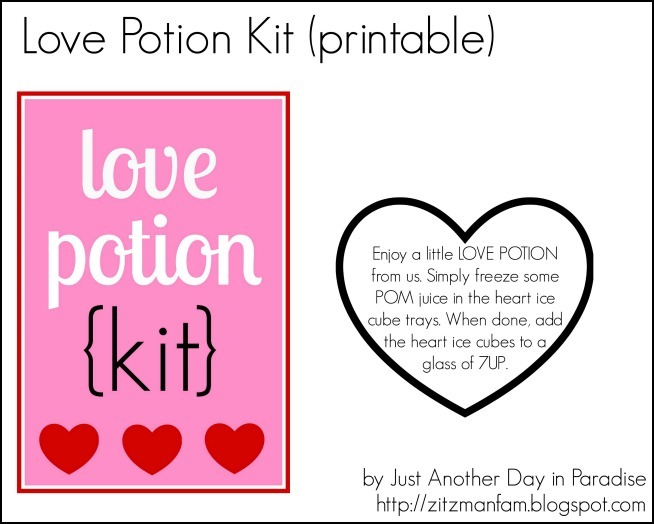 Once the Love Potion Kit is all assembled, just print and cut out the tags. The tag just lets the receiver know how to concoct their own Love Potion. Tie on the tags with a bit of fabric. Place everything together in the crate. 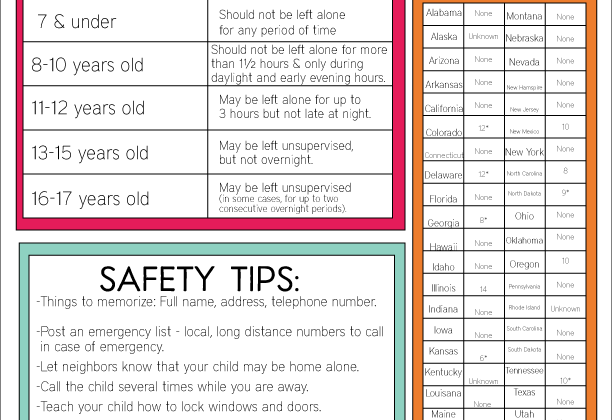 Give away to a teacher, neighbor, your spouse, or a friend. 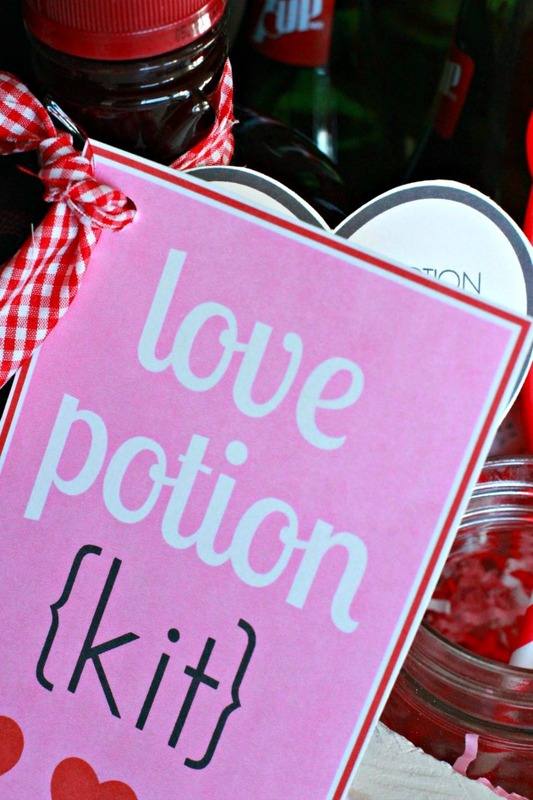 Nothing says Happy Valentine’s Day like some love potion. KitchenAid Giveaway with 3 Winners! 15 Ways to Make the Winter Olympics Memorable and Fun! My daughter loves anything pomegranate. 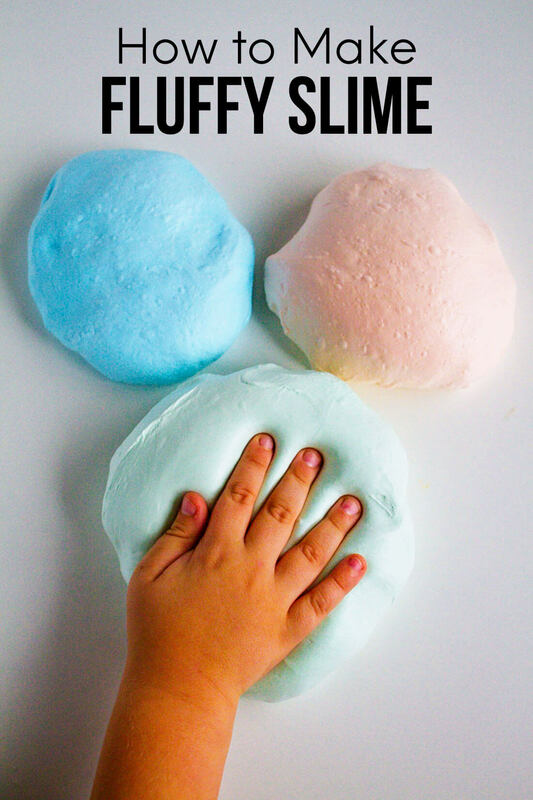 I can’t wait to make this for her! Thank you! What a great idea – so cute!! What a fun idea! Love the crate! Pinned! Adorable kit, as always! 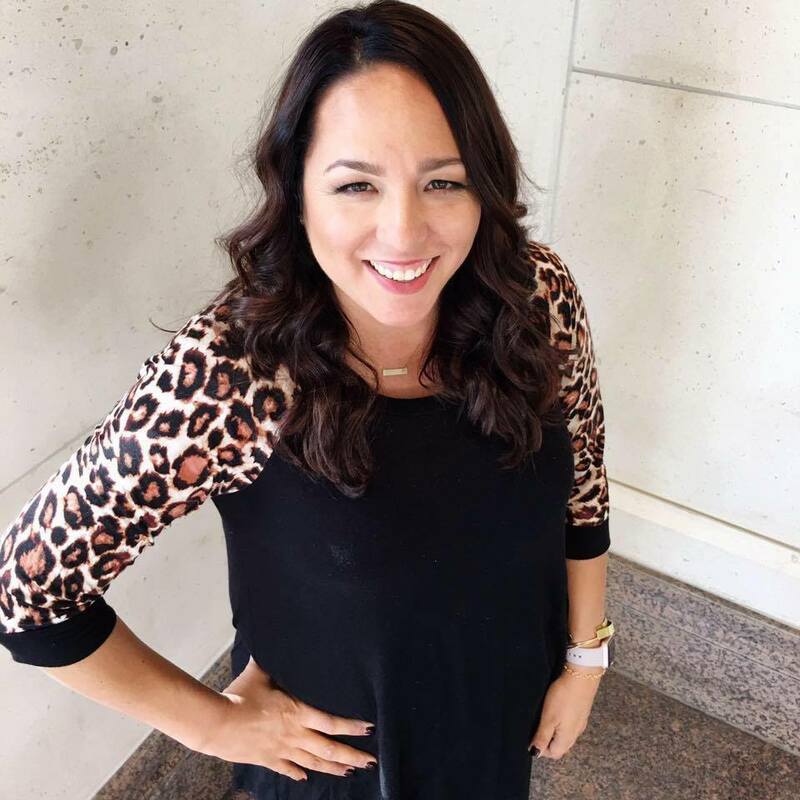 Larissa, your projects are always so fun and creative!